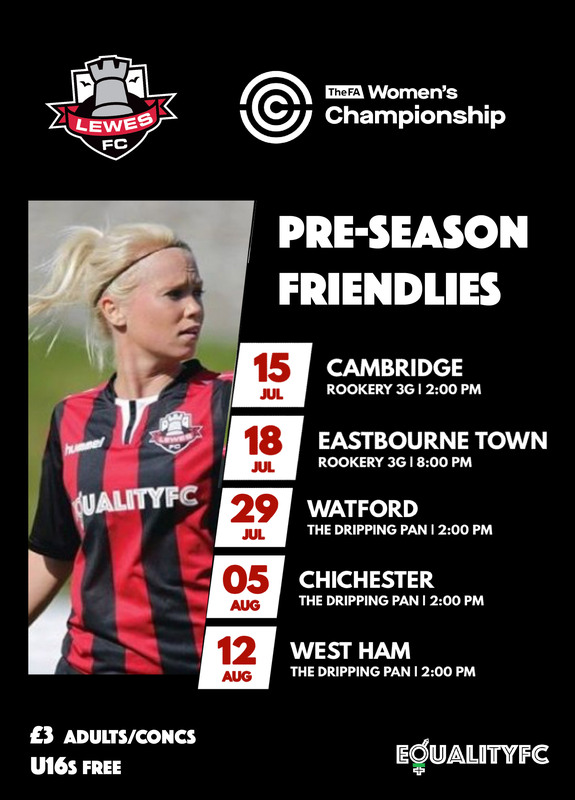 Lewes FC Women prepare for their first season in the new FA Women's Championship with a full programme of friendly fixtures. Matches will be played at the Dripping Pan, but also on the all-weather Rookery pitch with one match taking place at the headquarters of the Sussex County FC, Lancing. This will be your first chance to see and meet the new-look squad that John Donoghue is preparing for the challenge ahead.